When will be America's Hidden Stories next episode air date? Is America's Hidden Stories renewed or cancelled? Where to countdown America's Hidden Stories air dates? Is America's Hidden Stories worth watching? On the morning of December 7, 1941, Japan's war machine attacked Pearl Harbor, killing over 2,300 American servicemen. The conventional story is that America was caught sleeping that day and was hit without warning. But newly declassified documents from U.S. Naval Intelligence and the FBI reveal a very different tale, one of the Japanese and German spies studying Pearl Harbor long before the assault. The funneled American intelligence and stolen technology to the Japanese Navy, making the attack possible. So, how were we still caught so tragically off guard? Modern historians are determined to find out. It's a Cold War story involving a turncoat KGB agent, doctored computer chips, and a fiery blast in the Siberian wilderness big enough to see from space. Modern historians investigate the claim of a 1982 Russian gas pipeline explosion to see if it was the result of the world's first-ever cyber attack, a retaliatory measure ordered by Ronald Reagan to bring the Soviet Union to its knees for decades of espionage. Casimir Pulaski was an American Revolutionary War hero who helped save George Washington's life in the Battle of Brandywine. He was known as the "Father of the American Cavalry," but new evidence suggests that the general may not have been male. Follow a team of forensic anthropologists as they disinter and examine the bones found at Pulaski's monument in Savannah and run state-of-the-art DNA tests in order to determine if the officer was female or if someone else was buried in the tomb. Could this explain the general's strange behavior? 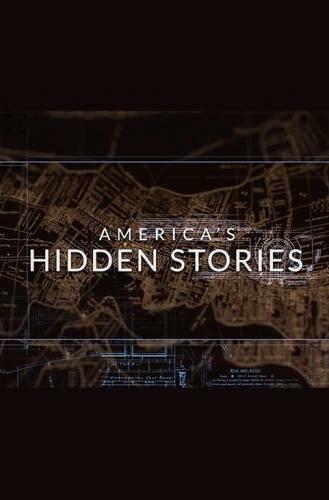 America's Hidden Stories next episode air date provides TVMaze for you. EpisoDate.com is your TV show guide to Countdown America's Hidden Stories Episode Air Dates and to stay in touch with America's Hidden Stories next episode Air Date and your others favorite TV Shows. Add the shows you like to a "Watchlist" and let the site take it from there.